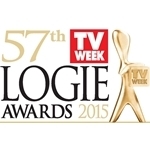 Earlier this week, TV Week opened voting for the 57th annual TV Week Logie Awards. 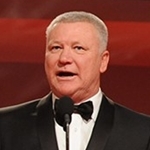 The awards are to take place at Crown Melbourne, on 3 May and be televised on the Nine Network. It will actually be Nine’s 20th consecutive coverage of TV’s ‘night of nights’ since Seven and Ten opted out of the hosting roster. So, who gets my vote this year? Most Popular Actor: This is a tough field. Lots of familiar names and some new ones who delivered great performances during the year. 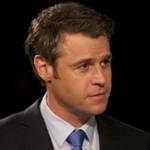 Ultimately, my vote has gone to Rodger Corser, who played fly-in Opposition Leader David McLeod in Ten’s Party Tricks. He played the part of the charismatic journalist-turned-politician extremely well. But although Party Tricks did well on social media, its ratings indicate that Corser is perhaps one of the underdogs in the Logies’ popularity vote. Who will probably win? Patrick Brammall, just by the fact that he was in pretty much everything last year. Most Popular Actress: Neighbours is a series that I don’t watch all that often but have a sentimental spot for as a series that many of us watched in its heyday. 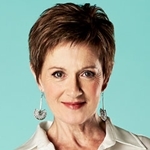 But when I do tune in I am always struck by the charm and wisdom of Ramsay Street’s own mother hen, Susan Kennedy, played by Jackie Woodburne. The last time I saw Neighbours, as a “tornado” was hammering through Erinsborough, Susan was performing an emergency tracheotomy on Lou Carpenter (Tom Oliver). Is there nothing Susan Kennedy can’t do? Who will probably win? Given 2014 may have been Offspring‘s swansong, and given the series ended on a high, it would probably appear likely that Asher Keddie or Kat Stewart could take this one out. And had I not voted for Woodburne, one of these two would have easily been my pick. 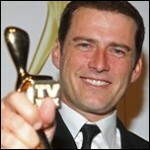 Most Popular Presenter: This category has been the cause of some angst. I was desperately in need to vote for SBS‘ own Lee Lin Chin. Sadly, TV Week’s voting form does not include Chin in its list of pre-determined contenders and even though a box is allowed to manually type in a name, the vote is only accepted if the name matches one of the preset list. Please, TV Week, please fix this glaring omission. 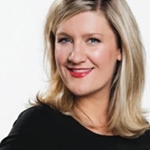 However, my runner-up who has now got my vote is none other than Amanda Keller, presenter on Network Ten’s The Living Room. For many of us, we were first introduced to Keller as a serious reporter on Beyond 2000. Since then she has shown us her comedic side, appearing in shows such as The Late Show, Denton, Mondo Thingo and Talkin’ ’bout Your Generation. She is now entertaining us as one of the four hosts of The Living Room. Who will probably win? Scott Cam. Most Popular New Talent: This is a tough category as I am not familiar with most of the suggestions on the list. The kids who watch Home And Away, Neighbours or MTV might be more suited to vote here. However, I have voted for a late entry into the 2014 television year, SBS presenter Silvia Colloca, host of Made In Italy — one of the programs I did watch from that list. Who will probably win? Someone from Home And Away. 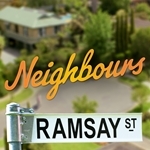 Most Popular Drama: Again, a sentimental nod to Neighbours. No other drama series in Australia has managed to last 30 years and for this alone it deserves a vote for an award that admittedly it hasn’t won for some time. What will probably win? Home And Away, unless Offspring can manage to edge in front. Most Popular Entertainment Program: I was a late convert to ABC‘s Upper Middle Bogan, having only discovered it towards the end of its second series. But having now caught up on both series one and two I think this show easily gets my vote. A series featuring outstanding performances all round, but with special mention to Michala Banas and Robyn Nevin. What will probably win? Hamish And Andy’s Gap Year. 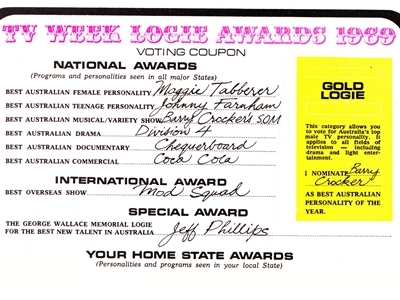 Although it’s interesting that TV Week has modestly submitted last year’s TV Week Logie Awards presentation for consideration for this award. Hmm, conflict of interest, much? Most Popular Reality Program: I think I can honestly say I did not regularly watch any of the programs featured on list of eligible contenders. 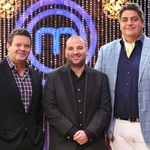 My vote has gone to MasterChef Australia, almost by default, as it has at least managed to regain some of its original credibility from earlier seasons and hasn’t gone quite as far into melodramatics as some of its rivals. What will probably win? It would have to be My Kitchen Rules or The Block. Most Popular Sports Program: Again, another category that I have had little exposure to. But as TV Week insists that all categories get a vote, mine goes to One‘s The Thursday Night Sports Show. Probably because it is the least likely to get many votes otherwise. Did anyone actually watch it? What will probably win? The Footy Show, most likely the NRL version even though the AFL one has more viewers. Most Popular Lifestyle Program: The Living Room has been a quiet achiever for Ten, which has long struggled to get a decent following on a Friday night. Hosts Amanda Keller, Barry du Bois, Chris Brown and Miguel Maestre and their assembled team of regulars have managed to turn the lifestyle format around into something less cheesy and more fun. What will probably win? Better Homes And Gardens, again. 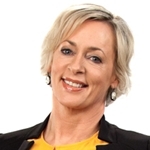 TV Week Gold Logie: Even though Jackie Woodburne, Asher Keddie, Kat Stewart, Amanda Keller and Rodger Corser have rated honourable mentions or votes, they do not get my vote for the Gold. My choice there is Winners And Losers‘ Virginia Gay who manages to make us laugh and cry in her portrayal of Frances James. So it’s a case of Gay for Gold! Who will probably win? A Nine Network personality. 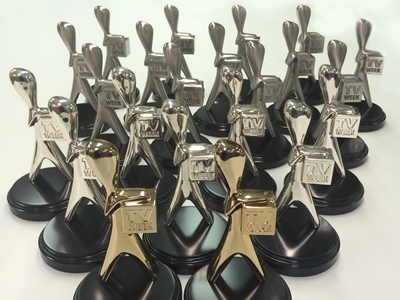 Voting for the 57th annual TV Week Logie Awards is open at their website until 22 February. sorry for the delay in answering(seems the moderator must’ve missed this one too!). Seven Little Australians was produced for, or by the ABC. An enquiry there might help.